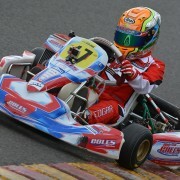 Jonny survived a string of mishaps at Rowrah and is now lying 2nd in the S1 Mini Max Championships behind Tom Canning. His weekend started off badly on Friday morning when he was involved in a spectacular and potentially very serious crash. 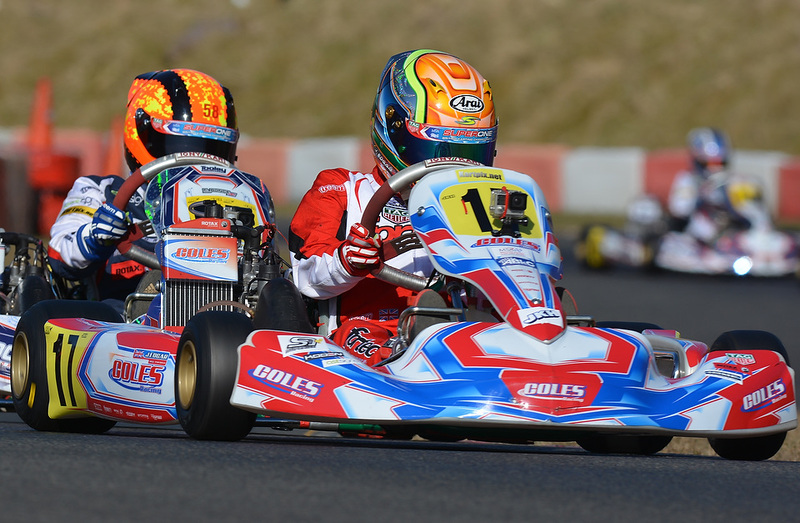 With just one lap of the first practice session remaining, he caught up with a slower kart and attempted to overtake. The other driver veered off his normal racing line and sent Jonny flying into the fence. He emerged from Saturday’s Timed Qualifying session in 3rd spot and then claimed a 2nd place finish behind Jenson Butterfield in Heat 1. The next race started disastrously for him when his motor refused to fire up. 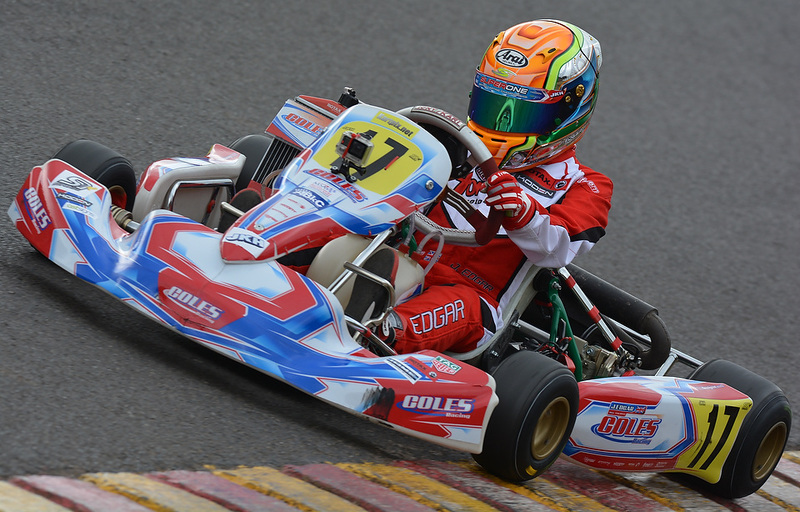 It was one of those rare occasions at Rowrah when the race started after just one rolling lap. Jonny was left with an awful lot of ground to make up, but he battled magnificently and eventually finished 9th. That placed him on grid 5 for Sunday morning’s first final. Butterfield and Canning both got off to a clean start in this race but there was a hold up at the chicane. Jonny emerged still holding onto 5th position, but he was now some 60 yards or more behind the two leaders. Butterfield pulled into the pits on lap 4 and that promoted Jonny into 2nd position. However, he was still over 60 yards behind Canning. Gradually he began to close the gap and had reduced it down to just a few yards when they started their penultimate lap. He was now favourite for the win. However, a back marker had re-emerged onto the circuit. Canning went through without a problem but Jonny found that his route was blocked. It only cost him half a second or so, but that was enough to give the leader sufficient breathing space. The second final took place in rather warmer conditions and most drivers found that their lap times improved. For some reason, though, Jonny’s motor appeared to lose some of its earlier sharpness. He followed close behind Canning and together they opened up a big lead over Lorcan Hanafin in 3rd place. Jonny went into 1st place at half distance, before losing out three or four laps later. After that Tom drove a very clever race until the end, making sure that there was no way through.